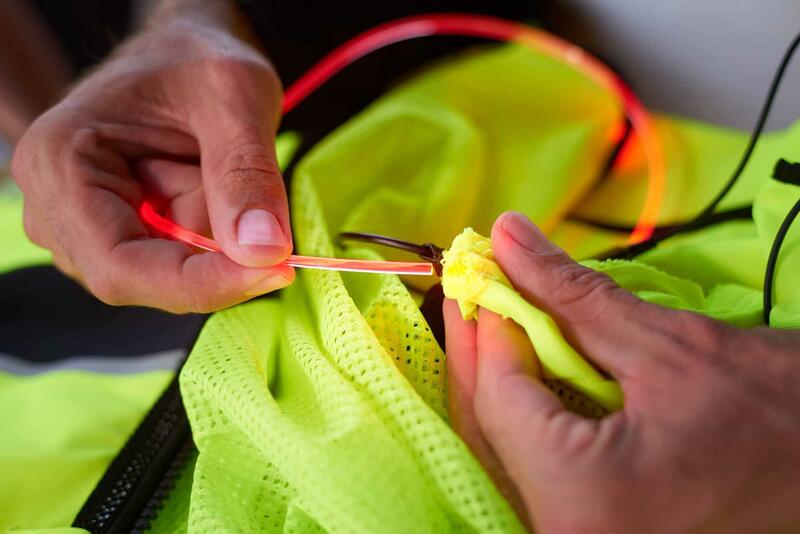 Held have released a new LED fibre-optic lighting system that retro fits to their 'LED Prepared' jackets. Currently, that includes the range-topping Atacama jacket - available for an RRP price of £966.99, the £60 Flashlight LED vest and £263.99 Yoshima jacket. Made by Osram, the light tubes slide into channels in the garment and will last around seven hours between charges. These tubes can be cut to length, depending on the size of your jacket and are powered by a small external power pack. The flexibility of the tubes mean they could also be used elsewhere though, such as wrapped around a rucksack or over horse riding kit.